Here's a real caffeine jolt — heart attacks might be a risk for coffee drinkers with a common genetic trait that makes caffeine linger in their bodies, a study suggests. Research on more than 4,000 people in Costa Rica found that about half had the trait and were considered "slow caffeine metabolizers." The other half had the opposite trait, which caused their bodies to rapidly break down or metabolize caffeine, and coffee-drinking in this group appeared to reduce heart attack risks. Among slow-metabolizers, those who drank two or more cups of coffee daily were at least 36 percent more likely to have a nonfatal heart attack than those who drank little or no coffee. Even higher risks were found for younger slow metabolizers — those under 50. They were up to four times more likely to have a heart attack than slow metabolizers in their age group who drank little or no coffee. The findings, though preliminary, might explain why there have been such mixed results in previous studies investigating caffeine's effects on the cardiovascular system, said University of Toronto researcher Ahmed El-Sohemy, a study co-author. Caffeine is thought to block the effects of a certain chemical that is believed to help protect against tissue damage, he said. Some previous research has linked coffee-drinking to a higher risk of heart disease, but other studies have suggested the opposite. While there's evidence to suggest caffeine can cause short-term blood pressure increases, a study last year said coffee-drinking didn't appear to cause long-term high blood pressure, at least in women. The new study "clearly illustrates that one size does not fit all," El-Sohemy said. "Perhaps in the future we'll be making different (dietary) recommendations based on people's genetic makeup." For now, there's no easy way to know if you're a fast or slow caffeine metabolizer. Staying awake all night if you drink coffee in the afternoon doesn't mean you're a slow metabolizer, and a genetic test that could answer the question is used in research but is not commercially available, El-Sohemy said. His study, conducted with researchers from Harvard's School of Public Health and the University of Costa Rica, appears in Wednesday's Journal of the American Medical Association. Participants were 2,014 men and women aged 58 on average who'd had a nonfatal heart attack between 1994 and 2004, plus a control group of 2,014 healthy men and women. Genetic tests of blood samples determined which ones were slow caffeine metabolizers and which were fast metabolizers. El-Sohemy said the prevalence of both traits is similar in other population groups but that worldwide prevalence varies. "This data is very provocative and very interesting," said Dr. Roger Blumenthal, a cardiologist at Johns Hopkins Medical School who was not involved in the study. Still, even if future research confirms the findings, it's likely that caffeine plays a much smaller role in heart attacks than conventional risk factors like high blood pressure, cholesterol and smoking, Blumenthal said. Dr. Nieca Goldberg, an American Heart Association spokeswoman, said that while the results aren't conclusive, "One good message that we can give people is that life is about moderation." The study "doesn't say you can't have caffeine," but drinking several cups of coffee daily is probably excessive for some people, she said. 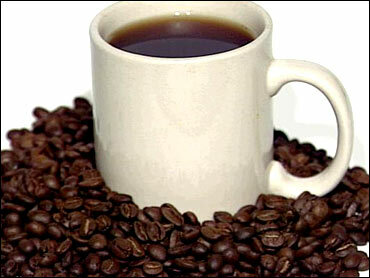 Coffee can trigger heart palpitations in people who are sensitive to caffeine. Those palpitations may not be harmful but they can be frightening, Goldberg said. She noted that caffeine is found in other foods including colas and chocolate.